It’s the second week of November, you know what it’s all about. Everyone is done with Halloween, working on recipes for Thanksgiving, thinking about Christmas presents and it’s the yearly release of Call of Duty. 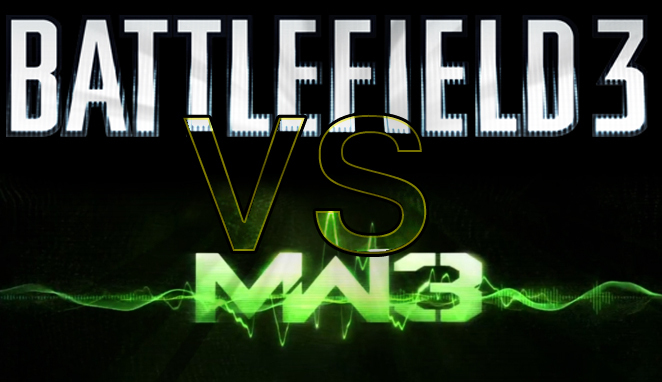 Yes, Activision is now ready for war against Battlefield 3 to win over the sales. The Call of Duty series is an outselling annual machine. Activision replied that smack talk wasn’t good for the industry. “This isn’t politics. In order for one to win, the other doesn’t have to lose. This is an entertainment industry, it’s an innovation industry and, at best, it’s an art form. But we’re still a young art form. If we were the movie industry the movies wouldn’t even be talking yet.” Games are always up to compete whether it is intended like now or unintentional like Resistance and Gears of War. It’s just how you handle the press. But EA is throwing the towel in yet, they have a last ditch effort to slow down the sales of Call of Duty. Battlefield 3 is having a sweepstakes weekend. Playing between November 11-13 you have a chance to trip to DICE studios in Stockholm, Sweden, a game system and $5,oo0. The second prize is $5,000 and the third is the winner’s choice of the following systems – PlayStation 3, Xbox 360, or Alienware gaming PC. All anyone has to do is log in to multiplayer games and they are automatically entered. Each day entered is another chance to winning. The past couple years Call of Duty set and broke world records on sales. It’s impressive whenever the record breaking sales come out and it’s fun to predict the numbers but overall, this isn’t a fight about mankind’s greatest game ever. Gameplay, graphics and reviews do tie-in but this is strictly it’s sales. The sales of Battlefield 3 outselling Modern Warfare 3 and Modern Warfare 3 outselling it’s predecessors.